Towed by Jet Ski in fast safety rescues. When diving, help is not always close by. Be prepared to respond to an emergency quickly! 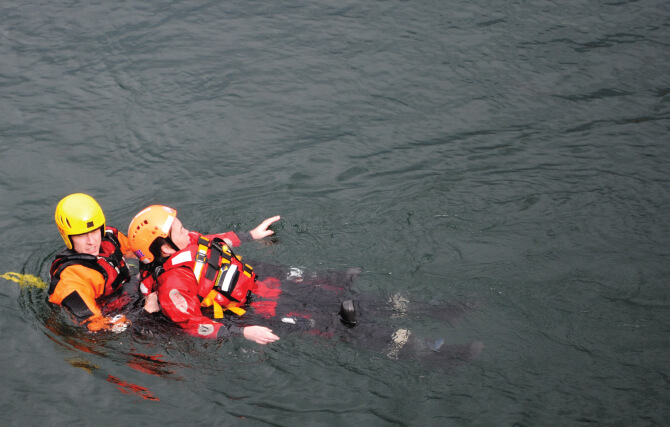 We supply specialist rescue drysuits to the majority of UK organisations and to many overseas customers. Custom drysuits are one of our specialties, and we have a great deal of technology at our disposal. 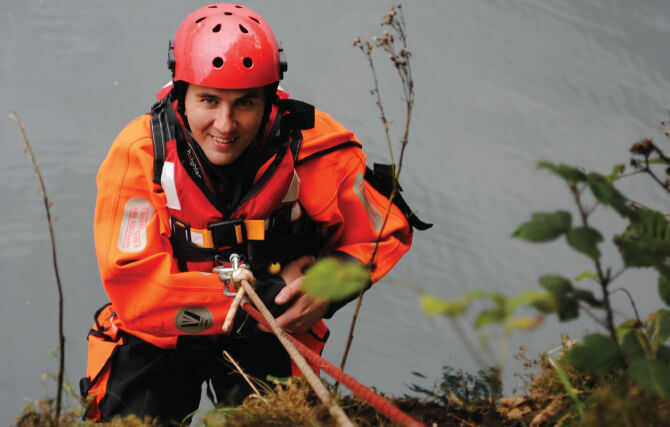 We manufacture a range of stock drysuits, from entry level to premium. 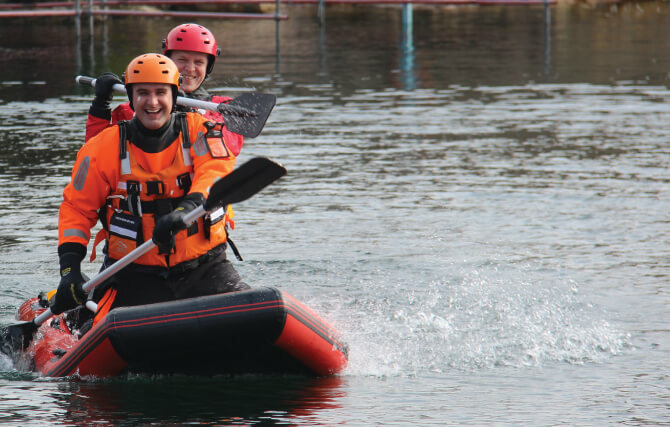 Boats, sleds, life boards, walkways and tubes are available in a range of specifications, with customisation options available – please contact us to discuss this. We stock ancillary equipment for inflatables and are official dealers of Suzuki outboard motors. View our ever-growing range of rescue equipment. Some stock equipment can be customised, and if you need something specific, please contact us to discuss your requirements. We are constantly developing new products and would love to help.